It’s been a while since I’ve made one of these posts. I hope I can remember everything I wanted to post here! I really want to remember the prayers Joshua leads. Tonight at dinner, he thanked God for our nation, those who defend it, etc. But lately he’s started praying, “God, we also pray for our enemies. Especially the ones we’re fighting against right now.” I’m so proud of Joshua. He’s always had such a natural inclination toward prayer. I feel like we’re raising a little contemplative here! And I’m especially thankful that his prayer life grounds his identity in ways that extend beyond nation or tribe. Very proud of my boy. 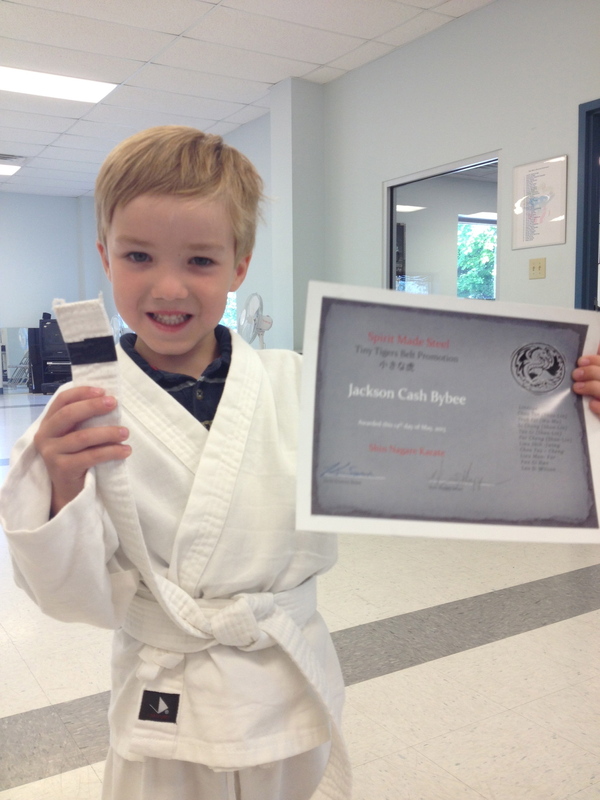 I want to remember how proud Jackson was of his karate accomplishments this spring. He’s never been much of a “team sports” kind of kid, but karate is right up his alley. He quickly acclimated to all the precise, technical moves and actually advanced through a couple of stages in his first class. My favorite part is hearing him mispronounce “Hi-yah!” Instead, the standard karate phrase in Jackson-speak is “Why-yah!” This is a picture of him at his stripe ceremony back in May. Looking forward to more karate later in the fall. I love Abby Kate’s defined sense of fashion. I don’t know how this sort of thing happens, but she’s been opinionated about this since she was old enough to talk. I guess some things are just innate! But I love that about my girl! All three of my kids have summer birthdays and they’re still young enough that each birthday is a day they look forward to with great anticipation. Jackson just turned 6 and the twins will turn 9 tomorrow. It’s still hard to believe they’re as old as they are. We definitely consider them a blessing from the Lord.